Interested in getting a taste of the iconic Appalachian Trail without the time commitment required for a long section hike? Behold! Three hikes that will get you out on the AT for an overnight backpacking trip that you can do on a long weekend. All three trails are less than an 8 hour drive from Cincinnati, are loop hikes that require only one car and no shuttles, and aim to highlight a beautiful portion of the AT. No excuses: Get out there and hike! 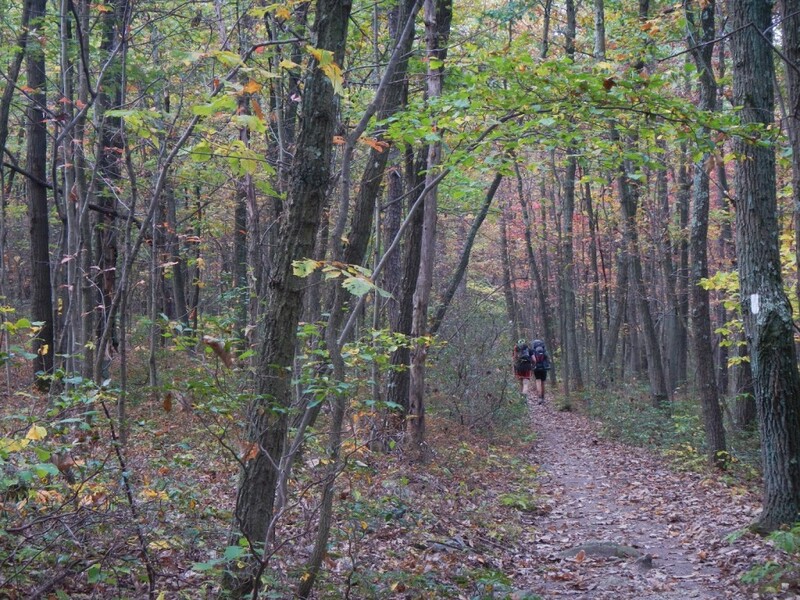 Shenandoah National Park in Northern Virginia is a beautiful introduction to the Appalachian Trail. This 13.1 hike is easy when broken up over two days, gaining only 2100 feet of elevation throughout. You will follow the Mount Marshall Trail across three streams abundant with wildlife, from white-tail deer to black bear and up to the Bluff Trail which, as its name portends, leads along the bluffs below the summits of South and North Marshall. Along the way, take a side trail to Big Devil Stairs for an amazing vista of the rolling hills of Virginia. Camping is available around this junction (ask a ranger for details!) and, in the morning, climb up to the AT itself. Stop by Gravel Springs Hut on your way to chat with any thru-hikers taking a break and fill up your water at the spring. From there, climb up to the summits of both South (3,212 ft.) and North Marshall (3,368 ft.). Rock outcroppings and distinct cliffs afford a view of the vast Shenandoah Valley below. Continue on the AT as it weaves up and down the ridge until it pops you right back out at Jenkins Gap and your waiting car. Talk about a hike with a little bit of everything! The Mt. Cammerer Loop is an amazing way to see the best of the Great Smoky Mountains in the vicinity of the AT. From the Big Creek Ranger Station, you’ll climb steadily up the Chestnut Branch Trail and meet up with the AT on top of the ridge after a couple of strenuous miles. Hiking southwest along the ridge will bring you to Mt. Cammerer Trail, a 0.6 blue blaze off the AT that leads to a rocky scramble to the summit where a beautiful stone fire tower lies nestled in huge boulders. From here, take in 360 degree views of the entire park, mountains as far as the eye can see. When you’re done drooling over the scenery, hike back to the AT and continue hiking. You’ll cross Rocky Face Mountain before coming to the Cosby Knob Shelter, a great halfway point at which to stay the night (don’t forget your permit!). The next morning will take you down off the ridge onto the Low Gap Trail. You’ll lose elevation here as you drop into gorgeous forest scenery. Keep an eye out for wildlife. 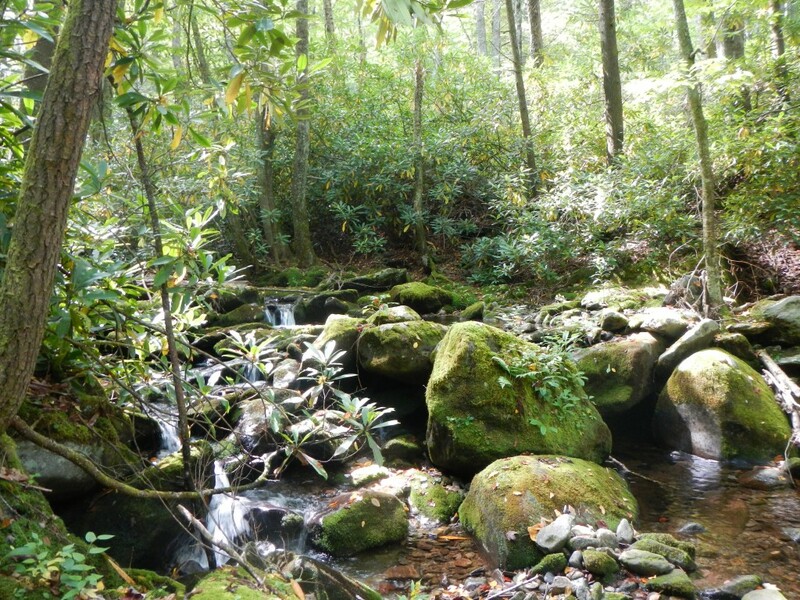 After a few miles, you’ll begin following Big Creek, a wide, boulder-strewn stream that leads past such thing as Mouse Hole Falls and a great wooden bridge, and then back to the ranger station and your ride home. The beauty of southern Virginia cannot be easily summarized in words and on this hike, you get not only that, but views into the ridges of North Carolina as well. The most strenuous of the three hikes, this hike begins with almost immediate elevation gain as you follow the Mt. Rogers Trail up to the ridgeline where it meets up with the AT. Keep trucking! It will be worth it, believe me. As you crest the ridge, the world below opens up and the rest of the hike is stunning view after stunning view of the sparsely populated, rolling landscape. Summit Mt. Rogers and you’ve reached Virginia’s highest point. Stay the night at the Thomas Knob Shelter about 8 miles in for an amazing sunset or keep hiking and camp at any of the great campsites off the trail further on. 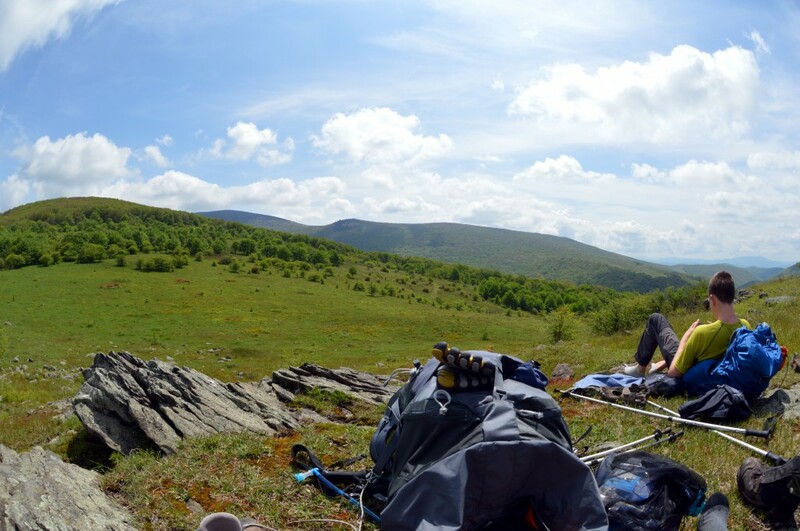 As you hike, your view will be the legendary Grayson Highlands before dropping down from the ridge, down through the Fairwood Valley, and finally looping back to your car.